Man with turtleneck. Dark hair. Man with turtleneck. Dark hair. Black and white photo. Condom use blurb. Yellowing/ripped edge. 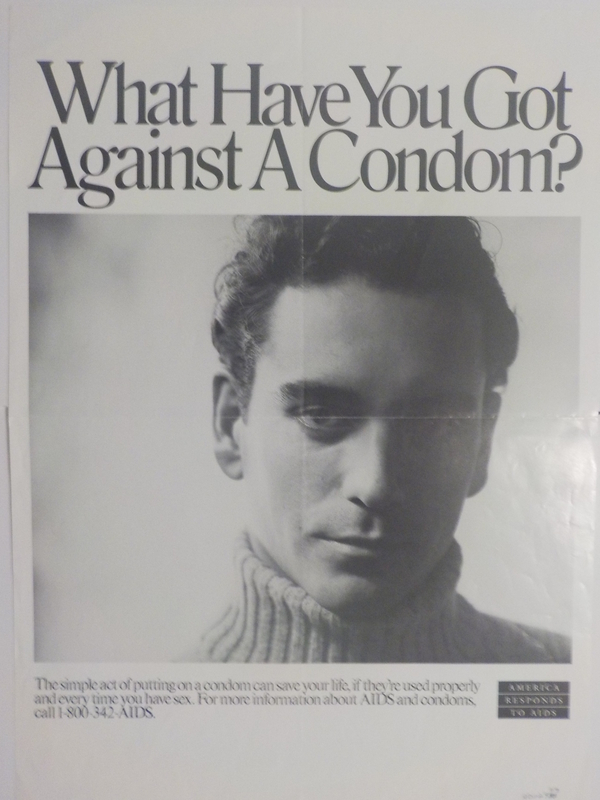 Order number: P098 (Hispanic male), CDC National AIDS Clearinghouse, Catalog of HIV and AIDS education and prevention materials, September 1994, p. 8.